Known for its towering skyscrapers, rich history, street fashion and gastronomic scene, the eclectic city of Tokyo offers something for everyone. Agatha Zarzycki shares where to visit for a day to remember in one of her favourite places. Held every weekend in front of the United Nations University, this year-round farmers’ market overflows with farm-fresh fruits and vegetables, and is a great way to sample local foods like onigiri (rice balls). Enjoy the vibrant atmosphere and grab brunch from one of the food trucks that sell gourmet bites, from gelato waffles to omurice (an omelette stuffed with fried rice). Japan is known for its beautiful stationery and this shop raises the bar to another level – Inkstand hosts 45 minute sessions where you can make your own ink. Pick two to three colors out of 14, blend and test until you create the perfect one. Not only is the pigment ink stunning, but it is water and light resistant. 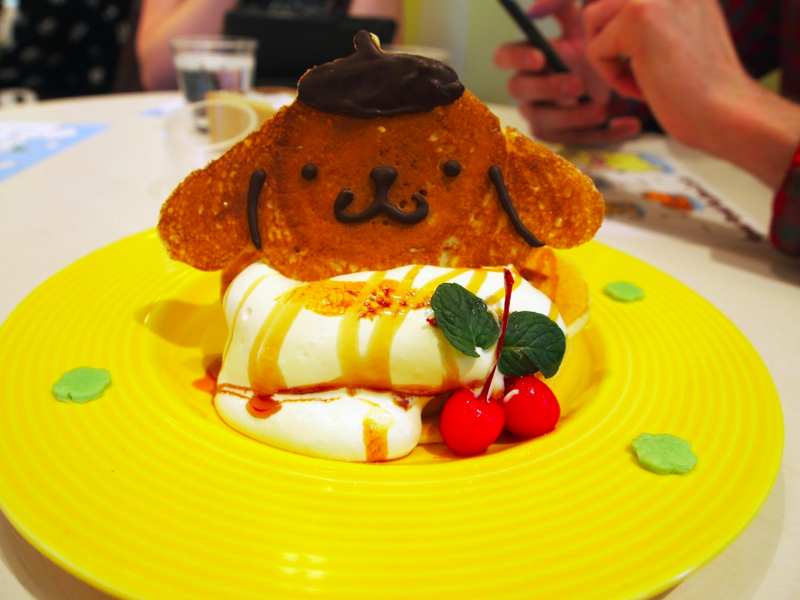 Experience Japan’s kawaii (cute) culture at this café. The bright yellow interior has Pompompurin – a Golden Retriever character of Sanrio Co. (the same company that designed Hello Kitty), themed everything, from the décor to the food and drinks that look almost too adorable to eat. The café’s diverse menu includes savoury dishes as well, but their desserts are the best, especially their chocolate banana parfait. Order ramen from a vending machine at this small laid-back restaurant known for adding yuzu, a citrus fruit native to Asia, to their signature ramen. Choose between seven kinds of ramen and three kinds of tsukemen – noodles that you dip into a separate bowl of tare (soy basting) sauce. Try the Spicy Yuzu Ramen: grilled pork, seasoned boiled egg, bamboo shoots, mizuna leaves, seaweed, chili spice, garlic and yuzu. A white lantern and wooden door mark the entrance to this tiny relaxed izakaya (a type of bar where alcoholic drinks are served with snacks). Pair local sake, beer and wine with delicious dishes like grilled, boiled and dried fish, fresh sashimi and tofu salad. The menu is written in Japanese and has no photos, but don’t worry – that’s part of the fun! Like Agatha, you can also remember your best food and travel places on Boutiq- the App turning your unforgettable discoveries into everlasting recommendations between friends.